IP350 box IP camera is ready-to-use megapixel fixed box IP Camera, complete network video surveillance system inside a compact box. 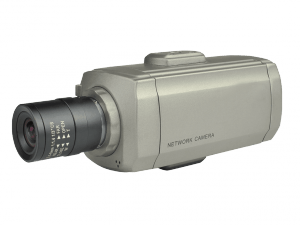 The camera adopts high performance digital CMOS sensor and can reach megapixel resolution with super image quality up to 25 fps. It uses H.264 image compression technology to give clear images while reducing bandwidth and storage by up to 30%. eSSL IP350 can be equipped with many accessories like IR illuminator, protective guard, to make the camera more powerful which can be used both indoor and outdoor. If you have any query or want to place an order please contact us now at 9315441078 WhatsApp 9315441053, 9818390836 or email us at info@ampletrails.com of fill the below Inquiry Form.